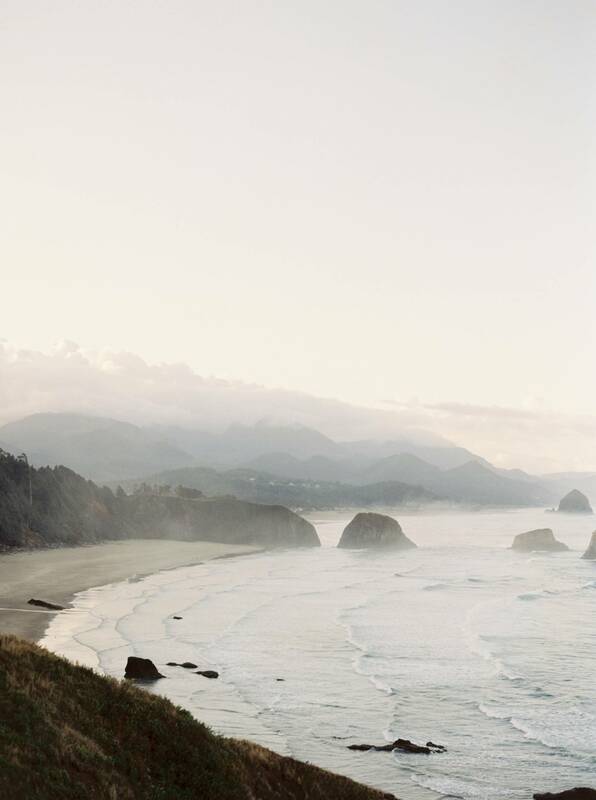 Well if we weren't already in love with the Oregon Coast, we certainly are now after laying our eyes on this truly stunning moody inspiration by JESSICA ROSE PHOTOGRAPHY. 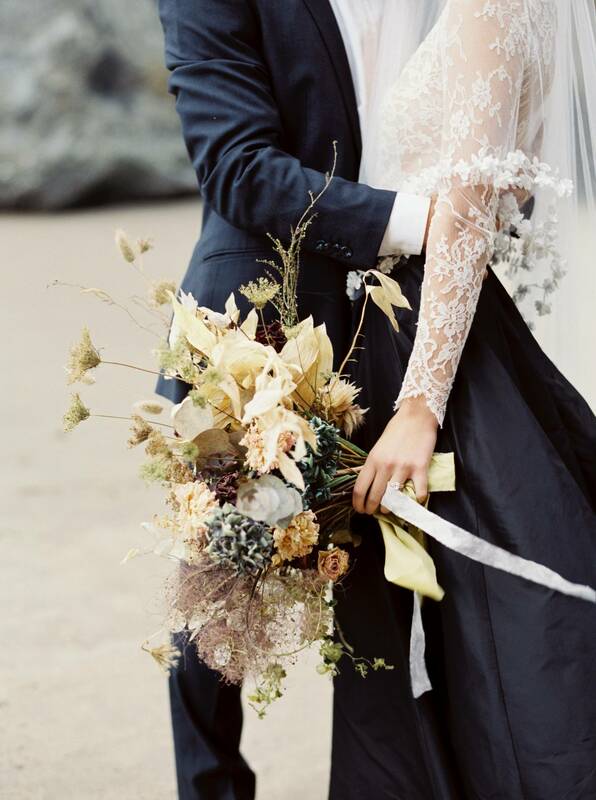 Featuring a beautiful gown from EMILY RIGGS BRIDAL and the most incredible textural bouquet by CELSIA FLORIST it's everything our moody landscape loving heart could ask for! 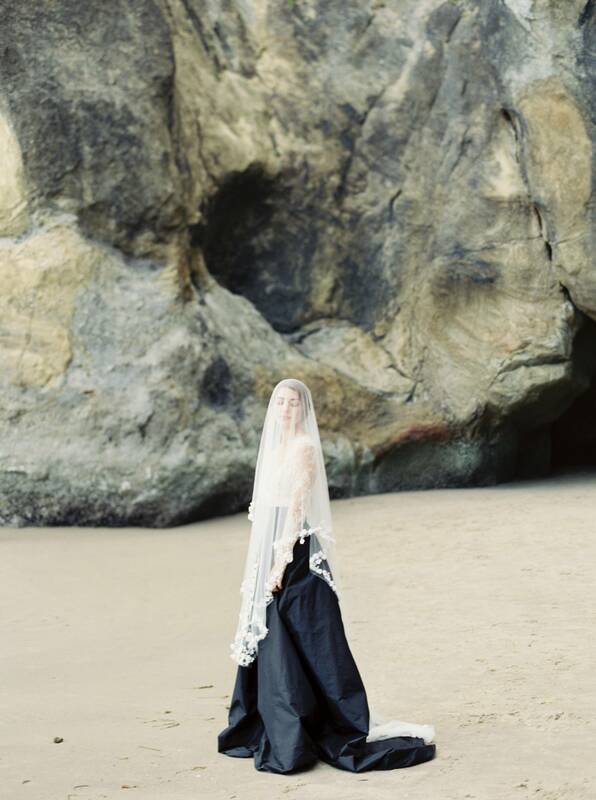 Jessica tells us, "Shooting on the Oregon coast is always a dreamlike experience. Whether there is full sun sparkling through the mist, or heavy fog rolling in over the ocean, it never ceases to inspire a sense of awe in the soul. 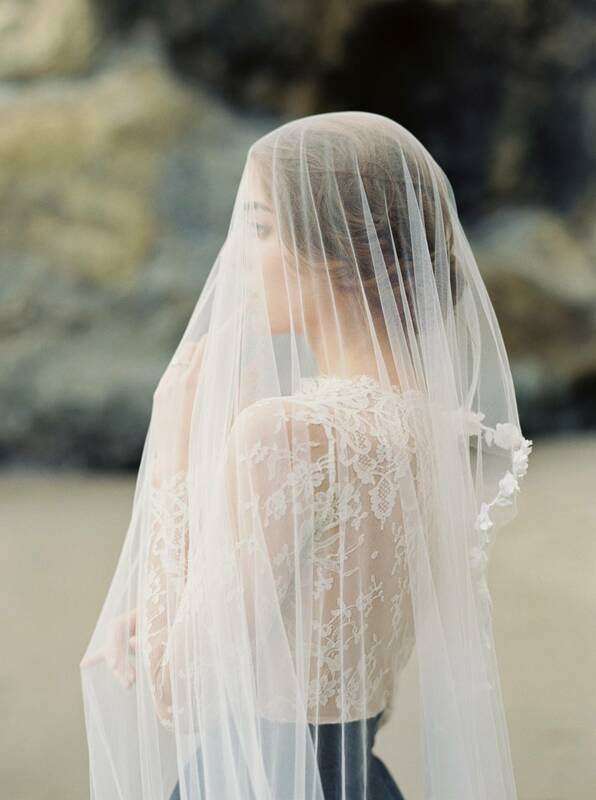 For this editorial we had the pleasure of working with an incredible gown and veil from EMILY RIGGS BRIDAL that really set the mood as unique and strong while remaining feminine and delicate. We chose to keep the grooms hair wild and free to balance out the refined look of the bride. We chose to focus on simplicity and minimal details to keep the focus on the chemistry between the couple and the interaction of the styling against the natural setting of the cliffs and ocean. It was a joy to work with each vendor to make this vision a reality, and we couldn't be more thankful for the talents of each artist!"